As a new coder, Joanne Daudier, embraced the challenges of building an app. Her idea for her first app was just a simple joke within her circle of friends– until Joanne took it seriously and built Gifanator, an app that allows you to send GIFs to friends. Joanne’s app allows users to send and receive GIFs via Twilio SMS. They can choose a specific GIF, select from different categories of GIFs based on an emotion, or click the random button and see what they get. Let’s say you wanted an awesome “Deal With It” GIF to share with your friends. Just text “deal with it” to Gifanator’s Twilio-powered number, and you’ll receive GIF link. Since Joanne started building applications, she has made a food tracking app and the Gifanator, which is her first Ruby app using the Twilio API. We talked to Joanne about learning how to code as a novice and incorporating Twilio into the new app. 1. When did you start coding and what inspired you to start? I started dabbling in code late last year (I even went to a workshop held at the SF Twilio office). Now, I’m learning through a 10-week immersive bootcamp called MakerSquare. I was inspired to learn coding when I had an idea to make a food tracking app. During my search for a developer, someone told me that I should just learn how to code myself. That totally shifted my thinking, and I decided to take on the challenge even though I’m starting at a later age than most people. 2. How did you come up with the Gifanator idea? And why GIF’s? I was going to make a joke web app first but somehow the idea evolved into a web app that lets you send and receive animated GIF’s. Animated GIFs are making a huge comeback, and they’re such a fun way to communicate, so I decided to focus on that. 3. How are you using Twilio? I’m using Twilio so that my users can send an animated GIF to a friend or receive an animated GIF for themselves. Text any search term to 858-224-9485 and receive an animated GIF back. Text any search term with a 10-digit number, and your friend will get an animated GIF. Text the word “random” to receive a random animated GIF back. Text the word “random” with a 10-digit number, and your friend will get a random animated GIF. When there are no results, you will get an error text message back with a funny animated GIF. 4. What was the process of incorporating Twilio like for you? Using Twilio was actually not super hard because the documentation has example codes that really helped. Since I’m a beginner, I could’ve used more examples and explanation about what the code is actually doing though. But overall, I had a great time playing around with the Twilio API. 5. Any other future projects planned? I’m making a web app called CoderMatch that helps you find someone who lives close to you to pair program with. 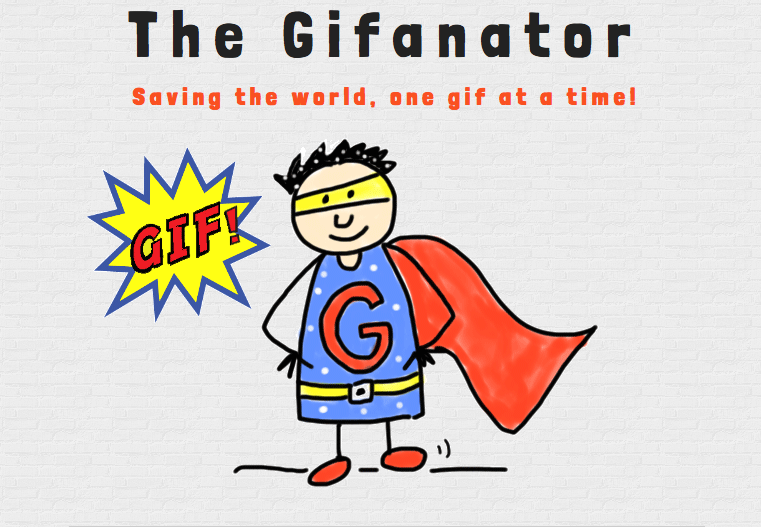 Please play with my Gifanator app, and let me know if you have any suggestions/feedback for me.